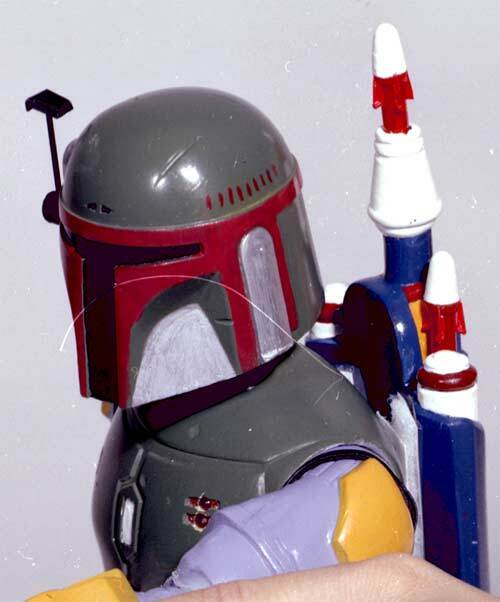 This series of Kenner file photographs reveals an early version of the large size Boba Fett action figure with unproduced features. 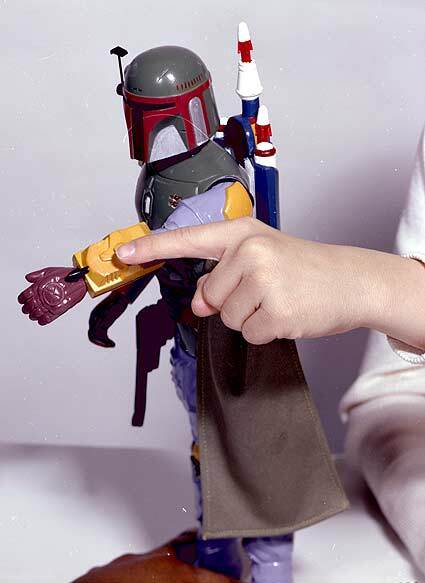 �While most collectors are aware that the 3 3/4" Boba Fett action figure was originally planned with a missile firing feature, few probably know that the large size action figure was going to have similar features.��It's likely that when the plans for the 3 3/4" missile firing Fett were scrapped due to safety concerns, the same happened to the large size version. 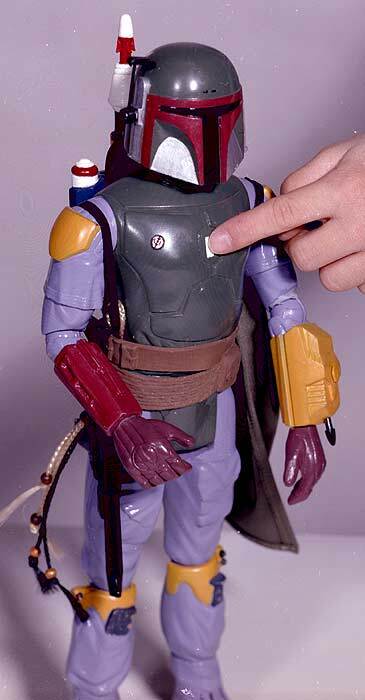 The body mold is essentially the same as the production version, with some hand painted elements. 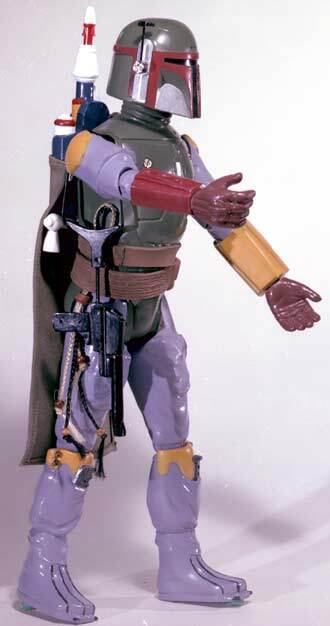 The presence of the features described on a recently revealed large size Boba Fett mock-up box photo is what really makes these photos significant.��A spec sheet for an earlier concept large size Boba Fett action figure is the earliest evidence that similar features were planned. This photo of the back shows an early design for the backpack. �Note the lack of a "grappling hook". �Instead, you can clearly see a missile, as well as an extra missile stored in another area on the left center of the backpack. 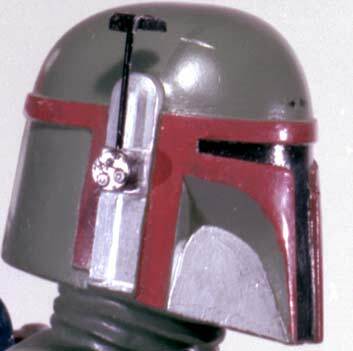 The back of the helmet also has some silver detail that was unpainted in the production version. This close up shows what appears to be hand painted detail. The range finder is different from the production version. 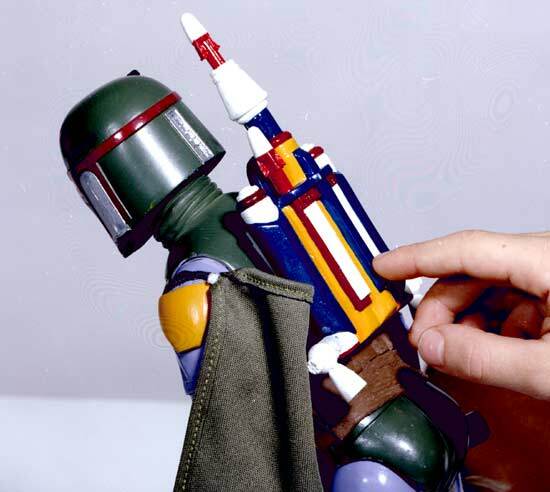 This photo was likely taken to show how the "spring launched arm dart weapon" would be activated. It's likely that pressing this button would have activated the LED�lights (obscured by the hand in the photo).��Notice the "arm dart" compared with a production version. 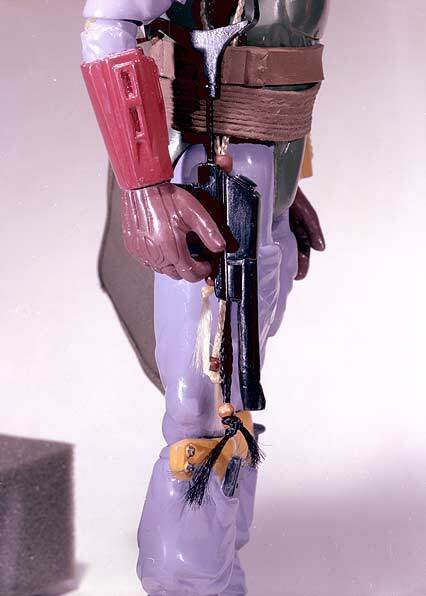 As with the other accessories with this figure, the gun and the scalps are slightly different from their production counterparts. �The belt looks to be the same sculpt, but the details are very rough on the one in this photo.